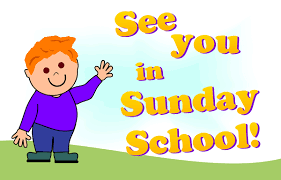 The 2017-2018 Sunday School year has ended; the 2018-2019 Sunday School Year begins on September 16. See you then! Biblical stories, music, art and creative videos combine to help teach children about God’s love and the life and teachings of Jesus. St. Stephen’s Sunday school provides children with a solid foundation of Christian education that will benefit them throughout their life. All children from age 4 through 5th grade are welcome. Please fill out the Registration and Medical Release form and return it to the church office.